Do you want to iron your shirts easily and quickly? Have you tried it before? Admittedly, most men do not know how to iron their shirts. Perhaps it is because they think that it is a daunting task, or they are ashamed about the end results. However, if you are among those men, worry no more. 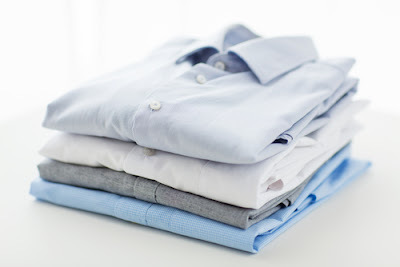 In this article, I will explain the six steps in ironing a shirt. • A quality iron box. • The ironing board: -you need a comfortable board to iron your shirts on. • A spray bottle: -a spray bottle helps you to disperse water on your shirt just before you start ironing. 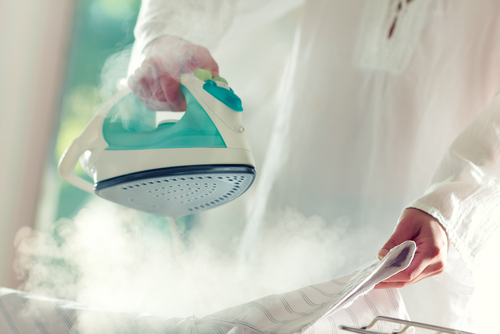 However, if your iron box has an inbuilt steam function, a spray bottle will be unnecessary. • Water: -you should use distilled water on your shirts. Step one: -check the recommendations on the care label and follow them to the letter. Remember, different shirts require unique conditions for best results. You should check the recommended temperature and set your iron box to that temperature. First, you should start with the collar. The collar is the most visible section of your shirt when worn and this call for careful ironing. You should pop up the collar and iron the underside before proceeding to other parts of the collar. However, you should ensure that the collar is moist for best results. Step two: - The cuffs should follow the collar during the ironing process. Typically, cuffs receive more attention especially when they are worn with jackets. You should unbutton your shirt cuff and lay it on the cotton towel. You should then start ironing the inside part of the cuff and then the outside should follow. In case there are wrinkles on the cuffs, you should move them to the edges. The areas around the buttons should be ironed with care to avoid leaving any mark. Moreover, you should set the temperature of the iron box low to prevent burning your valuable shirt. 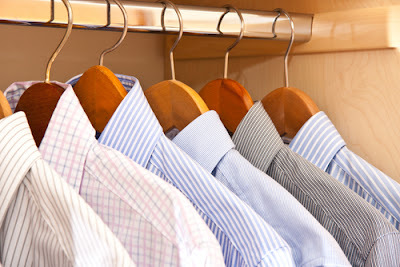 Whether you are ironing French cuffs or button cuffs, the above procedure should be followed. Step three: -the next place to iron is the front of your shirt. The side of the shirt that has buttons should be the first part to iron. You have to be keen not to iron over the buttons. Instead, you should iron carefully around the buttons. When you are down with this, iron the areas around the shoulder. Some buttons can break if they are exposed to higher temperatures. Such kind of buttons should be protected from extreme temperatures. However, quality buttons are not vulnerable to breaking even when they are exposed to high temperatures. Repeat this process on the side of the shirt without buttons. The areas around the collar should be given more attention because these are the parts that are more visible. Remember, the front of the shirt captures the visual attention of those looking at you. Perfect ironing should be done on this part. Step four: -the back side of your shirt follows. Put your shirt flat on the ironing board. You can iron half of the back side of the shirt and then the other half for best results. You can start at the back shoulder area and then proceed downwards. You must spend a reasonable duration on each part to ensure that all the wrinkles are eliminated. The back side of your shirt is the least visible, and you should not waste all your energy on it and forget about the more visible parts. Since there are no buttons on the back side, ironing this side is worryingly easy. However, the pleat needs some time. Therefore, iron the underside of the shirt before you embark on the pleat itself. Step five: -now iron the sleeves of your shirt. The sleeves are the most challenging parts of your shirt especially when you do not have sleeve boards. This is the reason why you need to iron them last. Ensure that the fabric is flat before ironing your sleeves if you want the sleeves to come out perfect. On the ironing board, lay the seam of your shirt’s sleeve and with the help of your hands, spread out the material and start ironing. The tip of your iron does this job perfectly. Press it against the sleeve and move it slowly down towards the cuff. Once you are done with one sleeve, you can repeat the whole process with the other sleeve. Do this carefully to avoid leaving any crease mark. Step six: -when you are done with the ironing process, your shirt needs to be hang until it is dry completely. You must ensure that the top collar button is fastened to protect the collar from losing its shape. Congratulations! Your shirt is now ready. 1. 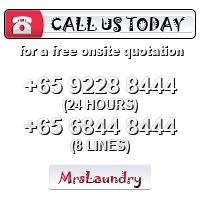 Always use low-temperature setting when ironing if you are not sure of the fabric of your shirt. This is to ensure that the heat does not damage your shirt. You can adjust the temperature as you observe the behavior of the fabric. 3. Avoid ironing dirty shirts. Needless to say, ironing a dirty shirt can ruin the appearance of your shirt. For example, if you iron a shirt with a stain, that stain will be permanent and remove it will be a daunting task. You need to clean your shirts before ironing them. Final verdict Ironing your shirts is great fun, and it makes you self-sufficient. You should not rely on others if you want to look presentable. You should take the bull by its horns and start ironing your clothes. With the tips in this article, you will find the process worryingly easy. So, what are you waiting for? Get one shirt out of the closet, follow the steps from one to six and see how easy this can be. Good luck!